As we know, peplums are just everywhere for fall! But I don't often see peplum sweaters! 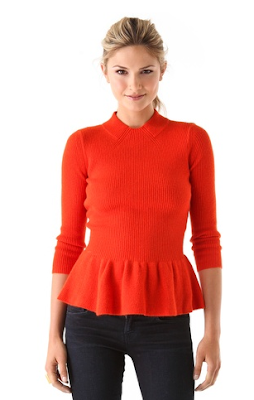 This one by Tory Burch is in te most fab tomato red ever - buy at ShopBop for $275.